Danbury, Connecticut - Belimo Americas, the leading producer of electronic valves and air damper actuators, has introduced a new 3-way CCV which now offers: expanded range with higher Cv ratings, Cv rating comparable to globe valves and a more cost effective alternative. Belimo’s 3-way CCV will have a Cv range of 0.3 to 83 which compliments the Cv range of the 2-way CCV line and improve technical performance. The 3-way valve bodies affected by the redesign include 1-1/4” through 2” sizes listed in the table below. As shown below, there are five new Cv ratings in the 3-way offering. 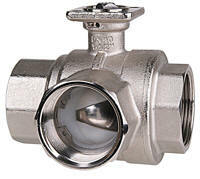 These valve sizes and Cv ratings are comparable to that of globe valves. For more information visit the website at www.belimo.com. (Atlanta, GA) - Lumisys continues to simplify the lighting control process offering new innovative technology to make life easier for its integration partners and more energy efficient for the end user. The company has developed and launched a new lighting control product, MAXIOM which is the first product to feature Lumisys’ Lx5 technology platform. Lx5 is Lumisys’ 5th generation platform. It delivers industry-leading performance; two 32-bit microprocessors designed to work in concert with each other, four native protocols that are selectable via a dip switch (BACnet MS/TP, N2 Open, Lumisys Open, and TRIATEK legacy), capacity for additional native protocols, field flash upgradable memory, and Digi-Touch (an embedded subnet for local override switches and occupancy sensors that eliminates low voltage home run wiring and improves life-cycle maintenance). Beyond its integration capabilities, MAXIOM also delivers industry-leading relay endurance with Lumisys True Relay (LTR) technology. The product is now being used by Lumisys’ Integration Partners; Automated Logic, Johnson Controls, and Siemens Building Technologies. Westford, MA - August 27, 2007 - Spinwave Systems, a leading provider of wireless mesh sensor networks for the building automation market, introduces a wireless pulse counter for remote metering applications. Spinwave’s new pulse counter is used to wirelessly transmit electric, water or gas meter values and make them available to any building automation system. It is suited for both indoor and outdoor applications. The wireless pulse counter consists of a high-powered radio and a signal conditioning module. The radio is connected through a standard CAT5 cable to the signal conditioning module, providing data and power to the radio. The pulse counter can be battery or line-powered. A set of 6 D-Cell batteries is provided with the product and will last for up to 8 years. To learn more about Spinwave’s products, please visit www.spinwavesystems.com. August 2007 - Austin, TX - Hubbell Building Automation, an industry leader in the development of cutting edge networked lighting control technologies, announced today a full line of Residential Wall Switch Sensors that include occupancy sensors with dimming capabilities and California Title 24 compliant vacancy sensors. Hubbell Building Automation’s residential vacancy and occupancy wall switch sensors utilize passive infrared sensing technology providing reliable motion detection. Their low profile design makes them the perfect wall switch replacement for residential use. The vacancy sensors meet Title 24 guidelines for residential lighting by requiring the user to manually switch on lighting and automatically turn off lighting when no one is present. Designed specifically for data centers and storage area networks, Berk-Tek delivers best-in-class micro-cabling technology with new and innovative MDP (patent pending) cable design, the perfect balance of performance and cable size. The new MDP cable design incorporates Berk-Tek’s patented dry loose-tube technology in a smaller O.D. 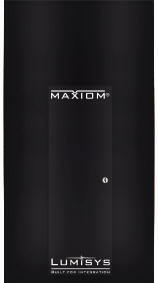 and adapted specifically for the indoor-only DC/SAN and building backbone environment. The new patent-pending construction provides a 50% smaller cross sectional area than equivalent fiber count indoor cables. In DC/SAN applications, the new MDP cables can help prevent cabinet and pathway congestion, considerably enhancing airflow, and facilitating more efficient cooling. When compared to traditional ribbon interconnect, premises distribution, and indoor/outdoor loose tube cables, this new breed of cables offers improved density, ease of installation, termination, and sub-unit handling, presenting exceptional value in the DC/SAN space as well as intra-building backbone infrastructure. Stay on top of the latest developments in automation and control with Instrument Engineers' Handbook, 4th Edition, Vol. 1. With a chapter devoted to each major area of measurement technology, the handbook includes topics such as the detection of flow, level, temperature, pressure, density, viscosity, weight, composition, and safety sensors. The book includes contributions from approximately 100 leading industrial and academic professionals. It covers sensors, detectors, analyzers, and other measuring devices introduced since publication of the third edition. Visit www.isa.org for more information. The ELK-M1KAM is designed for access control. It is a single door access interface module for use on the M1 and M1EZ8 Control Panels. The M1KAM connects to the 4 wire keypad data bus in place of a traditional M1 Keypad. Since the maximum number of keypads on an M1 or M1EZ8 is 16, the maximum number of M1KAM modules (and controlled doors) is 16, minus any installed keypads. Even though an M1 Keypad can accept a 26 bit access reader, the M1KAM is a more powerful and less expensive access solution. For example; the M1KAM includes a relay (door unlock) output with form "C" dry contacts, making it compatible with most door lock devices regardless of the voltage rating and style (AC or DC). The M1KAM accepts many types of card swipe or proximity readers conforming to the 26 bit Wiegand format. As an added benefit, the M1KAM also accepts Dallas "One-Wire" iButtonTM readers/devices. The M1KAM also has additional inputs and outputs, including: a request to exit (RTE) button or device and a Door Contact (Sensor) input. Outputs on the M1KAM consist of a voltage output for "Door Held Open" Alarm, a voltage output for "System Ready to Arm", and a voltage output for "System Armed". The M1KAM is mounted in a universal surface mount plastic housing with knockouts for surface mount raceways. Visit www.elkproducts.com for more information. Image Control - cutting edge building management control. Image Control provides the ultimate in cutting edge building management control. Throughout the world Image Control serves and controls some of the most famous buildings using oss2000 software. Combined with eoss2000 hardware they offer a complete solution - creating the control you need at the touch of a button. Image Control gives you the opportunity to control every aspect of your building from a centric (or de-centric) source, and allows large scale buildings to comply with the latest emissions regulations. In a 21st century world with an increasing focus on emissions, Image Control can help create an energy efficient building, saving on emissions and reducing building management costs. Who wrote the Intelligent Building Dictionary? See About Us. Search or browse the dictionary: Words and Figures. terminology for smart, integrated, green building design, construction, and management in book form see www.HandsOnGuide.com/pubs.php. Suggest a term, improve a definition, or let us know what you think, please Contact Us.